The Rock Solid Utility Arm, used in conjunction with a Rock Solid Master Clamp (sold separately or as a kit) or any clamp with a 5/8”(16mm) Hex receptor, is the perfect studio or location solution to keep gear conveniently located and easily accessible. Ideal uses include holding electrical cords and cables, sandbags and cases, power packs, batteries and other outlets as well as gaffer tape and expendables. Other clamps can also be attached to the arm to hold additional gear. The possibilities are limitless. The Rock Solid Utility Arm is all aluminum construction and can support a variety of gear up to 35lbs(16kg). The arm measures 7” (178mm) in length. The male end that mates with the Rock Solid Master Clamp has a Hex design to eliminate any unwanted rotation. Available in non-reflective black. 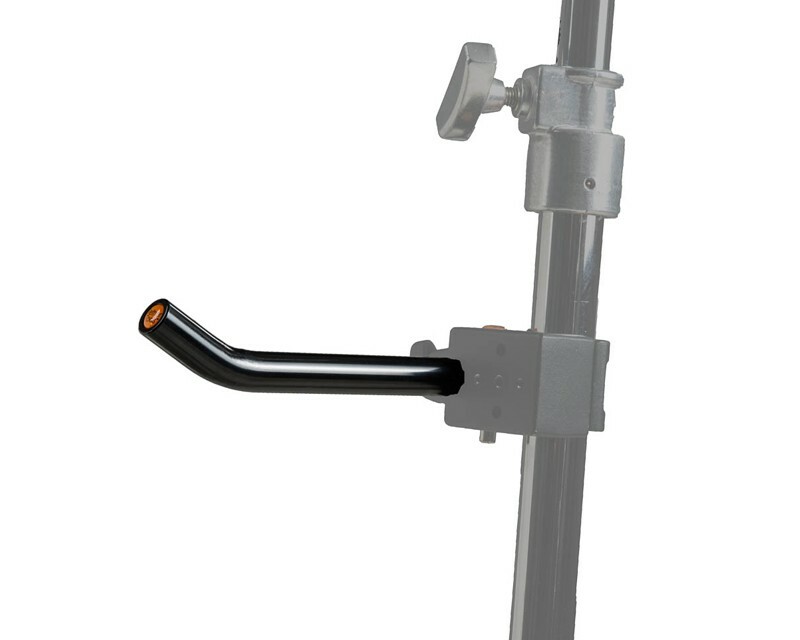 *The Rock Solid Utility Arm is rated to hold equipment up to 35 lbs(16kg), however, always refer to maximum load limits on stands. Those weight limitations ALWAYS take precedent. Listing is for the Rock Solid Utility Arm only. All other items pictured sold separately.